Our Connection Groups provide the foundation for the family-like atmosphere so distinctive of Impact Family Church. 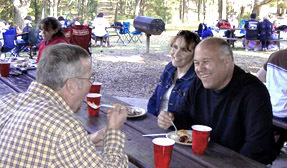 Each family or individual in the church is placed into an age-related Connection Group. These Groups are designed to ensure that every person in our church family has a smaller group they can depend upon for fellowship, encouragement and will give them an opportunity to meet others with similar backgrounds and interests. The intent of these Connection Groups is not to limit anyone to relationships only within their group, but simply to make sure no one is overlooked or left out. It is important that everyone connects with the church, that they have a sense of belonging. As visitors begin attending our services, they can join their age group at any of the fellowships or events planned for their particular group. As the other members of the group seek out and get to know these new people, they will be more quickly and easily integrated into the fellowship and life of the entire body. Visitors should not be required to reach out to us in order to develop friendships–we should be reaching out to them.